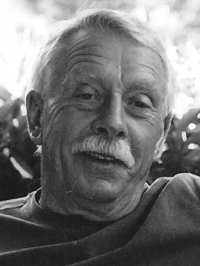 Lyle M. Anderson, 73, died at his home Friday, Aug. 22, 2014. Lyle was born Feb. 18, 1941, at home in Warren, Minn. He was the son of Andrew C. and Edith Anderson. On Aug. 6, 1960, he married his high school sweetheart, Janet Elaine Larson, in a country church, Immanuel Lutheran Church of Vega. After marriage, Lyle and Janet moved to Moorhead, Minn., where he began his career as a builder. They had two children, Steve and Jill. In 1964, he moved his family to California. He worked as a carpenter and then took positions with Wienerschnitzel and Carl’s Jr. restaurants as building supervisor. He left that behind to fulfill his dream of living in the Idaho mountains where he built custom homes. Lyle spent his leisure time hunting, fishing and climbing mountains. In 1998, he was called to Texas to develop a Christian sports camp. They returned to Idaho in 2000 and resumed building custom homes. Lyle delighted in his grandchildren, Paige Anderson, Oliver Scherillo, Nikki and Sophia Anderson and Ryan Roemer. He also had wonderful times with his great-grandson, Monte Dietrick-McGee. Lyle is survived by his brothers Raymond Anderson and Larry Anderson and their children. He adored his wife, Janet. They were best friends and built a life full of travel, adventures and joy. They walked together with Jesus. Each night he kissed her goodnight with three kisses until recently he changed it to five, then seven! He told her every day how he loved her and how beautiful she was. Lyle was bigger than life and could brighten people he met with a joke, a smile, a hug or a tickle. He especially loved to squeeze the little ones! Faith, Hope, Love, and the greatest of these is Love. In 1969, he invited Jesus into his heart and it changed his life and the lives of those he met. A Celebration of his life will be at 2 p.m. Friday Sept. 5, 2014, at the Presbyterian Church of the Big Wood in Ketchum. Friends are invited to visit www.woodriverchapel.com to share memories, photos and light a candle.